I'd like to start doing a little how-to section every Friday, in regards to blogging/vlogging. So let me know if there is anything you would like me to talk about in future posts! I'm going to do something totally un-British of me now. I'm going to talk about money! In January 2016 I earned £560 purely from my blog and vlog. A lot of people probably don't realise I actually earn money from all this "online stuff", but I do. 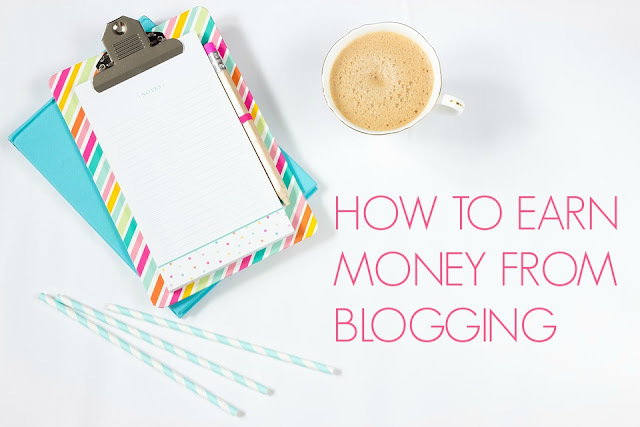 I've been blogging at My Pretty Mummy for 4 years now, and it really has become a sufficient enough source of income I now consider it my part time job. It's enabled me to stay home with my children, which is the best possible thing to come out of it, and I feel very grateful for this! First of all, I joined a blogging marketing company called Mode Media. It takes on blogs who are receiving about 20,000 hits a months. My sidebar advertisement is by them, as well as the occasional video adverts you may see on my blog. In January I made £85 from these adverts. They also offer me occasional sponsored posts, for which I can get paid anywhere from £400- £1000 per post. I also have good ad sense running on my blog. This doesn't tend to bring in as much as Mode Media. I made about £65 from these in January 2016. But the majority of my income comes from working with brands and PR's. I'm sure if you have a blog, you will have been contacted at least once from a PR company asking you to review a product, or run competition, or write a post on something or other. My starting fee for these posts is £150, going up depending on the amount of work required and/or the amount of expose they want the post to receive. Some companies are happy to just have a link back (this helps with google searching and SEO) but some want it shared on my other social media sites to start more of a conversation around their product. When I first started blogging, I had no idea about all this stuff. I used to accept sponsored posts for £20, or even just the product to review without any other form of payment. Bu now my blog has a lot more reach, I feel my voice is worth more. Of course, it doesn't always work this straight forwardly. Sometimes, if I feel my blog will receive a lot of exposure from working with a particular brand, I will lower my prices. I think the most important thing if you want to earn money from blogging, is to work on creating good content, and on building a substantial following. My blog receives about 30-40,000 hits a month, which means I can charge a good amount of money for my time and voice. So there you have it, an honest account of how I earn money from all this "online stuff". Hope you found it helpful!